Well-fitting, attractive up-to-date glasses or contact lenses give people a new look —and, even better— help them see the world more clearly. Opticians help customers choose eyeglass frames or contact lenses, following prescriptions from ophthalmologists and optometrists. After measuring customers’ eyes and faces, opticians create work orders to have the glasses and lenses made… when the glasses come in from the manufacturer, opticians adjust them to fit the customer and teach customers how to care for their eyewear. Opticians working in small shops or preparing custom orders may sometimes cut lenses and prepare frames… many repair broken frames. They also maintain sales records, keep track of customers’ prescriptions, and order inventory. Opticians generally work full time, although part-time schedules are not uncommon. 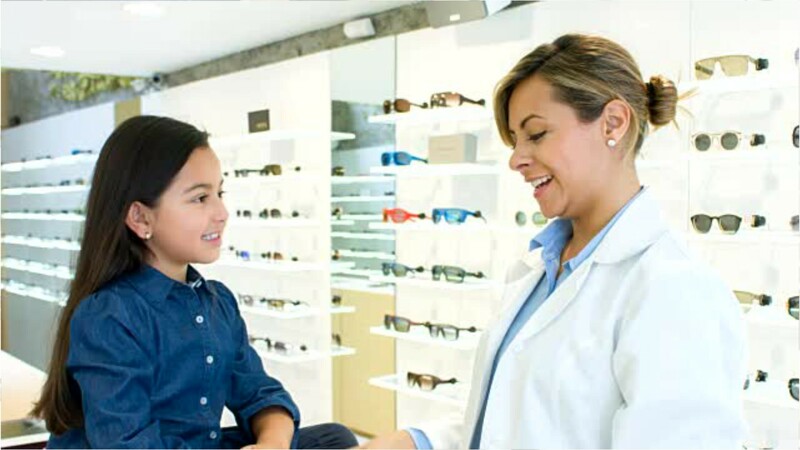 Most opticians work in optometrist offices and in retail stores— which may include evening and weekend hours. Opticians typically have a high school diploma or equivalent and receive on-the-job training. Some opticians earn an associate’s degree or a certificate. Many states require licensure. See more details at O*NET OnLine about opticians, dispensing. Opticians, Dispensing by U.S. Department of Labor, Employment and Training Administration is licensed under a Creative Commons Attribution 4.0 International License.